The Bharatiya Janata Party on Tuesday once again allied with the Asom Gana Parishad in Assam, for the Lok Sabha elections in the state. The Asom Gana Parishad had quit its alliance with the BJP in January due to its opposition to the Citizenship (Amendment) Bill. The bill seeks to amend the Citizenship Act of 1955 in order to grant citizenship to Hindus, Buddhists, Sikhs, Jains, Parsis and Christians from Bangladesh, Afghanistan and Pakistan if they have lived in India for six years, even if they do not possess the necessary documents. The bill was passed in the Lok Sabha on January 8. However, the BJP and Asom Gana Parishad finalised a tie-up on Tuesday following a meeting at the regional party’s president Atul Bora’s residence in Guwahati, Northeast Now reported. 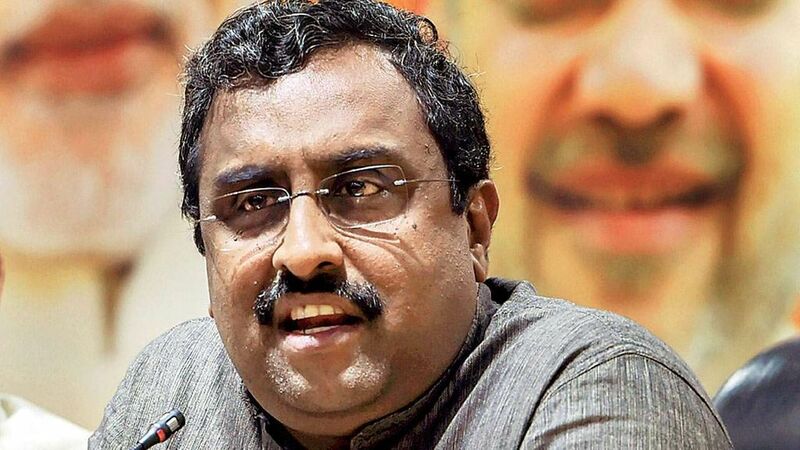 BJP leader Ram Madhav, flanked by Assam BJP minister Himanta Biswa Sarma, made the announcement late on Tuesday.